Facts have shown how groundless were these apprehensions. 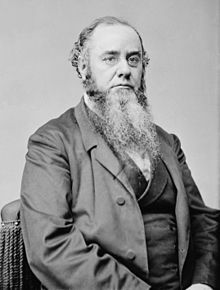 Edwin McMasters Stanton (19 December 1814 – 24 December 1869) was the Secretary of War of the United States during the American Civil War. Many persons believed, or pretended to believe, and confidently asserted, that freed slaves would not make good soldiers; they would lack courage, and could not be subjected to military discipline. Facts have shown how groundless were these apprehensions. The slave has proved his manhood, and his capacity as an infantry soldier, at Milliken's Bend, at the assault upon Port Hudson, and the storming of Fort Wagner. The apt qualifications of the colored man for artillery service have long been known and recognized by the naval service. Though "Now he belongs to the ages" is by far the most accepted quotation of this remark, it is sometimes contended that he said "Now he belongs to the angels" but occurrences of this date back only a very few years.. Stanton had originally opposed Lincoln, dubbing him "The Original Gorilla" because of his looks and frontier speech, but eventually grew to admire him. Abraham Lincoln, as quoted in Lincoln; An Account of his Personal Life, Especially of its Springs of Action as Revealed and Deepened by the Ordeal of War (1922) by Nathaniel Wright Stephenson. It seemed to be the policy of the Secretary of War to lose no opportunity to throw a stone at those who had made themselves prominent in the Rebellion. Even if Sherman had made a mistake, his great services entitled him to better treatment than he received at the hands of Mr. Stanton. How deeply he felt this treatment was shown when he arrived in Washington with his troops, and was invited upon the platform whence the President and his Cabinet were reviewing them. He deliberately refused to take Stanton's hand when the secretary stepped forward to greet him. It is now twenty years since the interesting events referred to took place; most of the actors in those scenes have gone to their final resting places. The passions which animated men in high places have died out, but Grant and Sherman still live, and are gratefully remembered by their countrymen for the invaluable services they rendered during the most trying times of the Republic's existence. This page was last edited on 17 December 2017, at 15:38.